Something has been bothering me since few days. I have come across news of someone’s death many times. But this one has been has been haunting me for quite a longer period. A boy of a very reputed school in Kolkata died last week. To say it was just an accident will be an understatement. The boy had literally killed himself. Was it a suicide? Well, not really. He died due to drug overdose. Yes you read that right! Drug overdose. A boy, who merely has been a school pass out this year died of drugs. He was the only son of his parents; parents who had gone out of their way to educate him in a big city like Kolkata, staying in village themselves. The drugs he was addicted to not only killed him, it did destroy his family, their dreams, their lives. Do you think he had the right to do this? Isn’t this an injustice done on his upbringing? How easy it is to end one’s life without even giving it a thought about the people who are affected by this act. Studies show that there are many causes of drug addiction. The most common is trying to fit in school. While drugs and alcohol are prohibited at school, teenagers always find their way around it. If the cool kids at school are doing it, odds are other kids might be using and abusing too, in order to fit in. Lack of communication between child and its parents also results in addiction of drugs. Children who think their parents don’t care are more likely to pick up bad habits. Nowadays, more kids are being left at home while mom, dad or other adults are at work. 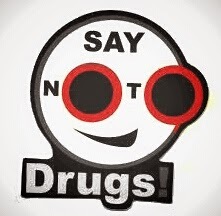 Teenagers who are left along for long period of time or who are allowed to come and go as they please will undoubtedly have greater opportunity for exposure to drugs. Most children use drugs and alcohol when going to friends’ homes, spending the night out or when attending parties. It’s not only about teenagers; adults also take to drugs at some point of time. Either due to depression or due to peer pressure at work place. 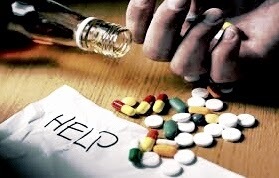 Drug addicts need drugs in order to function normally. What an irony indeed! The substance which takes you to the path of death, prevents your brain from functioning rationally is seen as a compulsive need for addicts. Many try alcohol, tobacco, or drugs. Some try these substances only a few times and stop. Others can't control their urges or cravings for them. This is also called substance abuse. Folks may try a number of substances, including cigarettes, alcohol, household chemicals (inhalants), prescription and over-the-counter medicines, and illegal drugs. Teenagers use alcohol more than any other substance. Marijuana is the illegal drug that people use most often. There is only a need for little support and care for these addicts. Please lend a helping hand. Speak to these people; urge them to speak out their grievances. Try not to use harsh, judging words. Be as supportive as much as you can during this time. Advice the person addicted to go to the rehabilitation center. Life is the greatest gift you get, live it to the fullest. Yes. 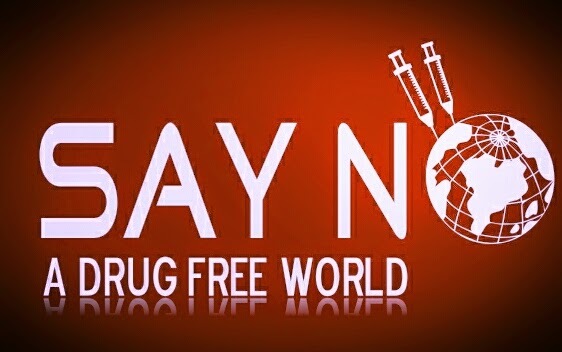 It's high time that people, especially the youth, realize the consequences of the intake of drugs, and also that getting into it is not a cool thing and will never be. Very informative (y) keep up the good work . Well according me "try everything but never cross limits".